We will not allow you to dishonour the name of our mother with innuendos and adjectives. 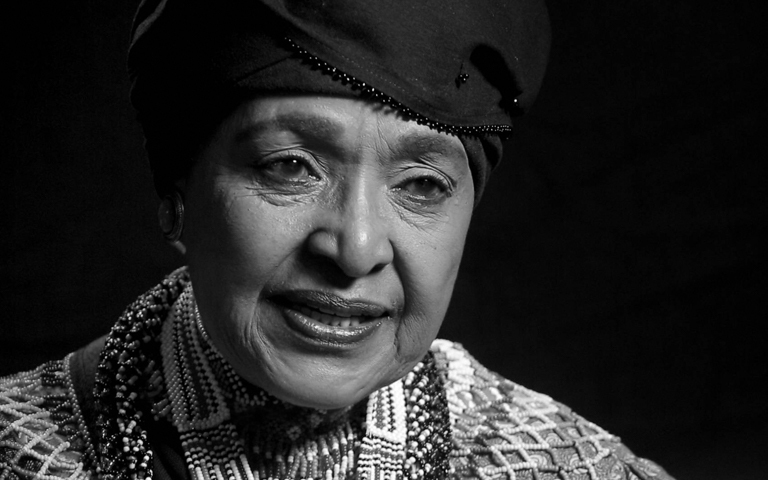 When the news came that my mother, Mama Winnie, had passed away, I was filled with great sadness as I’m sure many of you were too. But as I was listening to leaders of our movement and in particular exiled comrades lamenting her passing, my heart filled with anger and outrage. Adjectives such as black spots, colourful history and unfortunate events were part of their vocabulary when describing Mama. All I can say to all of you is: afford our Mother of the Nation the requisite respect and dignity – or you hold your tongue. We will not tolerate you being the authors of our internal history, NO! We have heard the ANC exiles’ narrative of South African history for far too long; tread carefully when it comes to our mother. We were here, you were not. ? After the 1976 uprising in Soweto, which in turn led to uprisings throughout the country, we were at war. War, no less – detention, arrests, torture and being killed. What do you know of our pain and suffering in a real way? It was not our father or mother in prison, it was me. Our history will not be substituted to suit an exiles’ narrative. While you were lamenting from your cosy lounges in London and Lusaka, we were dying. So when Mama said, “Strike that match”, we embraced it. For informers, impimpis and collaborators were our enemies and had to die. Perhaps you think we were playing marbles while you were talking about talking with the enemy, but working with the apartheid filth meant some of us were going to be arrested, tortured and of course slip on some soap and break our necks, fall out of a 10-storey window because we always wanted to commit suicide or go for a swim when everyone knew I could not swim. Winnie Mandela endured all this and more. We are not confused. ?